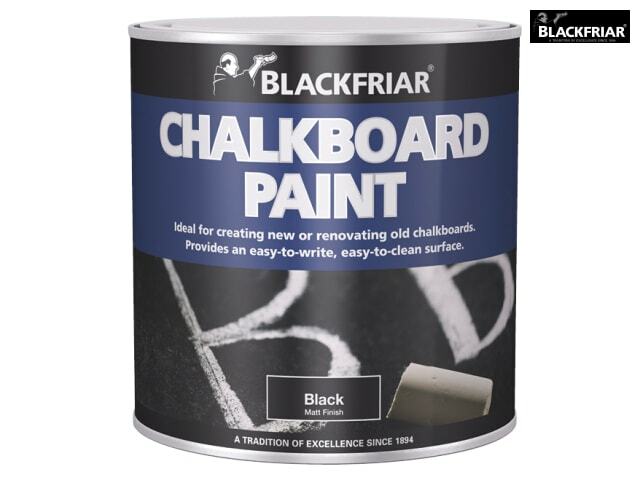 Blackfriar Chalkboard Paint produces a chalkboard surface with a durable matt black finish. It resists ghosting allowing for clear, legible chalk writing. 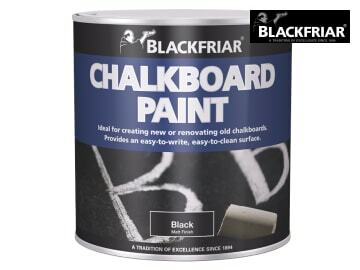 Ideal for creating new or renovating old chalkboards. Application method: brush and spray.